Style your bump and bond with your baby. 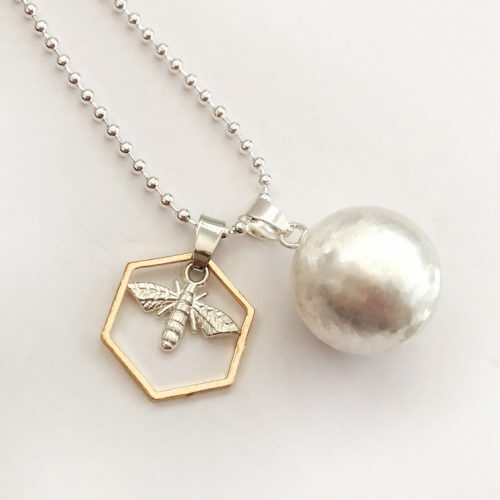 Bebe Bola’s pregnancy jewellery collection offers high-quality Harmony Ball Necklaces and Charms in modern, timeless designs. At Bebe Bola, we love to celebrate pregnancy and motherhood. 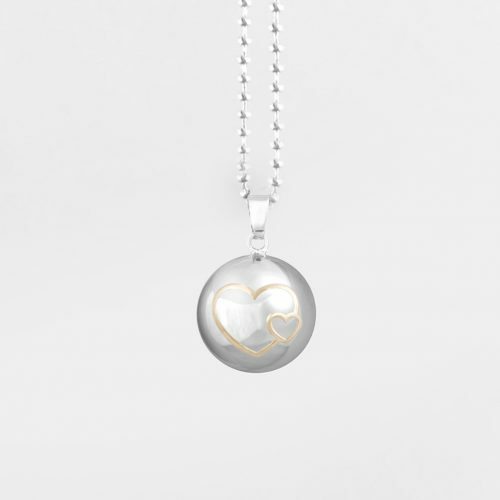 Our Harmony ball and charm collection is about quality over quantity. We hand pick only the best designs. Modern and on-trend, but timeless. 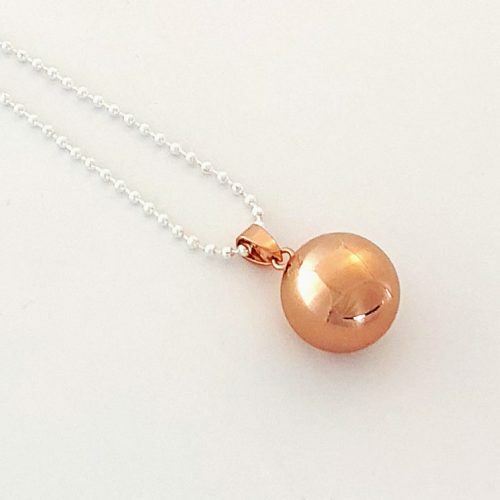 What is a Harmony Ball pregnancy necklace? 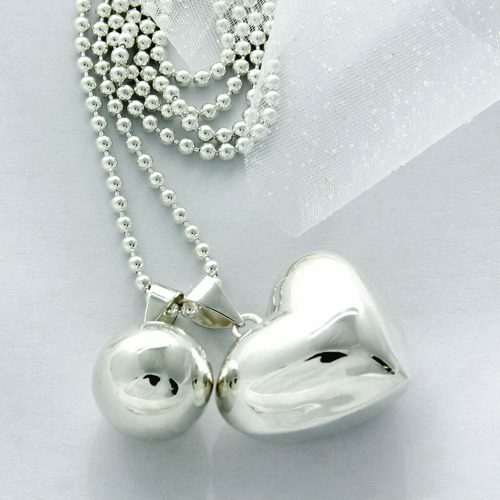 Beautiful chime pendants called “Harmony Balls”, “Angel Callers” or “Pregnancy Bells” are worn by expectant mothers throughout their pregnancy. 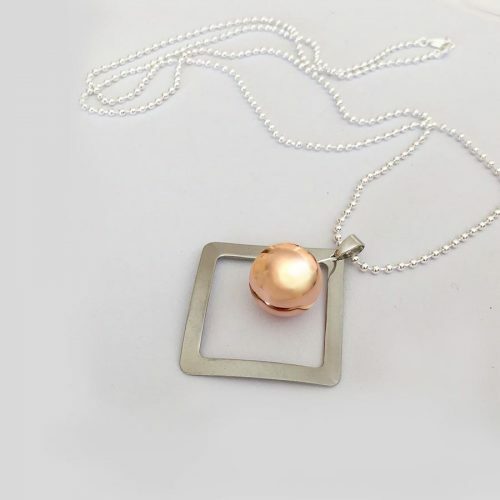 On a long necklace, these chiming pendants emit a gentle bell sound as they bounce gently against mum’s growing bump during everyday activities. 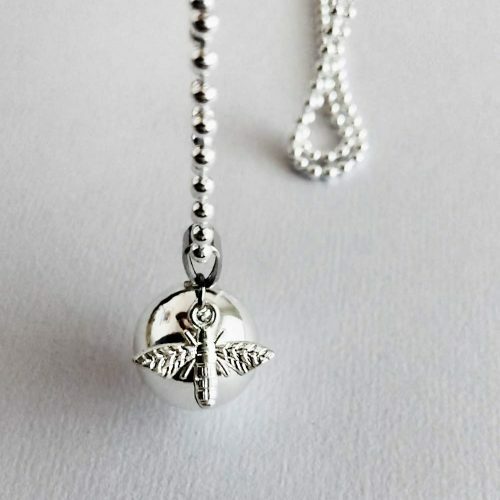 The sound is thought to create a feeling of calm and harmony for mum to be, and call upon her guardian angel for protection and support. Baby will also hear and become familiar with the bell chime while in utero, finding it soothing after birth. More about harmony balls. 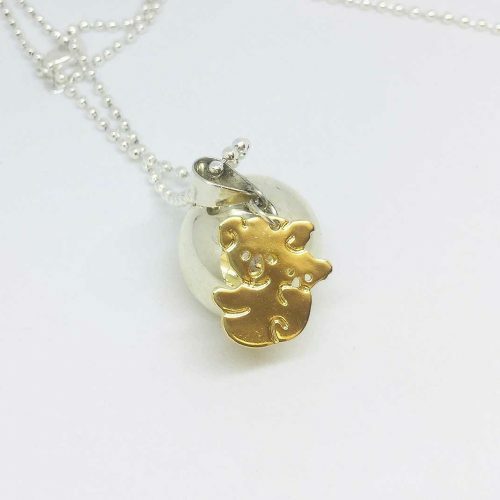 A pregnancy necklace is a lovely way for mum to be to connect with her baby before and after birth. It’s also a meaningful way to celebrate this momentous occasion and the beginning of a new chapter in her life. The bell of a harmony ball is similar to the sound of metal wind chimes bumping gently together in summer afternoon breeze. Soft, but audible. Listen to a sound sample. 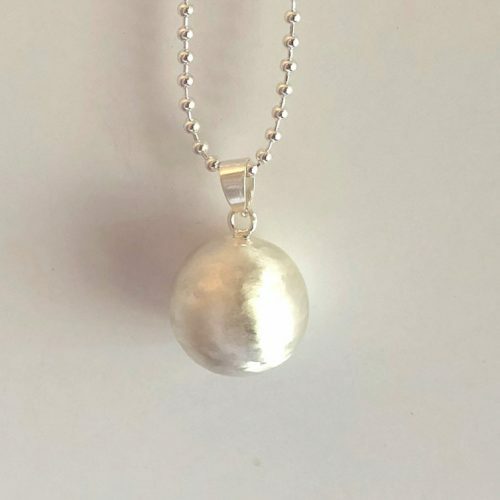 Is a Harmony Ball necklace a good gift for a first time mum? Absolutely. As a first time mum, you will experience a huge range of feelings and emotions. Excitement, fear, anxiety -every week will bring a new range of feelings and firsts. 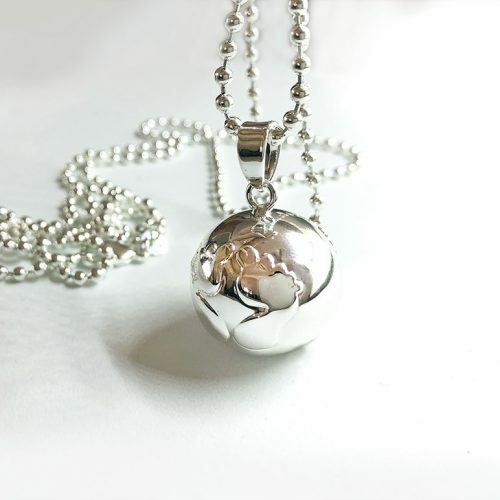 The chime of your Harmony Ball will interrupt your busy day and remind you of the precious life you are growing! A reminder to take a few minutes every now again to relax and just be with your baby. What is the meaning or the Harmony Ball?